Delivering fast and fresh flowers all over London and the UK is our speciality and we want to share our enthusiasm for the perfect bouquet with you at home. No matter what you need, from funeral flowers to Valentine’s Day roses we have it all here at Flower Station. Meaning of Red Flowers Here at Flower Station we would always like to make your life easier by trying to explain what some of the meanings behind certain flowers are. 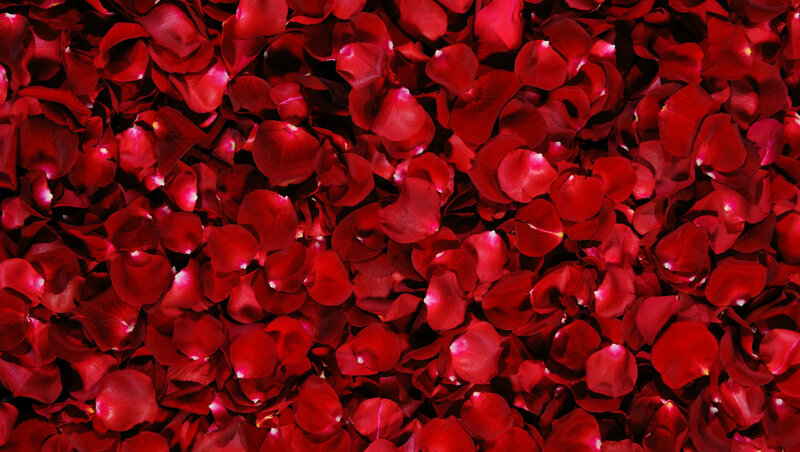 Red flowers in particular are among the most powerful ad usually convey messages and symbols of love and romance. This is especially true of roses, as it is said that the deeper the shade of the rose, the deeper the depth of your love. If this is what you're after than we recommend none other than a Grand-Prix rose - the queen of all luxury long stem red roses and one of the only types we use in our florist shop. It is no wonder that Valentine's Day flowers are mostly red, just be careful young lovers out there - you don't always want to say too much, after all the power, energy and symbolism of these flowers has known to divide kingdoms and start wars. You have been warned. Sending red flowers is probably the most popular and by far the most classical of all colours. Order by 6pm and will deliver the very same day within London or, if sending outside the capital, we can deliver for the next working day. We are opening 24/7 throughout the year so whatever, whenever, your order is safe with us. If you are looking for the majestic rose, with bright, luxurious petals, the delicate and evocative scent then we have what you are looking for. They quintessential embodiment of love and romance, we can make sure your loved ones receive their flowers on time and in beautiful condition. Receiving a dozen red roses is surely one of the purer pleasures in life and with different heights types to choose from there has never been a better or easier time to order. With our fast service you can rest assured your gift is in safe hands and will arrive on time. We have years of experience and know what it takes to make a quick and efficient delivery and with several delivery options it really is never too late. Red Roses delivered A gift can rarely be as meaningful as a fresh hand tied bouquet of flowers. Here at Flower Station we pride ourselves on delivering on time and efficiently. This is why we are confident of delivering anywhere in London (if order is placed by 3pm) and UK (if order is placed before 12pm) on our same day flower delivery service - please contact us for more information. Flower Station also prides itself on being a premier London Florist that stays open 24 hours a day, seven days a week. In this way we ensure all our customers are taken care of at all times of the day, or night. So is you're overseas and are stuck midway through your order, it matters not, just give us a call our experts are always on hand to help you. It really does seem that it has never been easier to send flowers to London and rest of the UK. Q. Can I send flowers to an office? A. Our delivery ensures the recipient receives their flowers wherever they are, be that at work or at home. Our experienced delivery drivers will make sure the flowers are delivered professionally wherever they may be and any problems can be quickly resolved. Q. Will the flowers be damaged at all while in transit? A. We make sure all our bouquets are made to the highest standards and we do not want that hard work to be tarnished by damage in transit. All bouquets and arrangements are carefully stored and protected while on delivery and will reach you in stunning condition. Needed flowers as a thank you to colleagues. Delivery was on time and punctual, received information regarding how to track my order and that really gave me peace of mind. The flowers were exceptional and received extremely well by my colleagues. No doubt a quality service. Decided to treat myself and what a treat it was. Received my flowers and was impressed with the quality of the arrangement. Sat on my dining table for a week and made me smile everyday! Perfect. Pleased with the service as never used online florist delivery before. Satisfied with quality and would definitely use again.